Who loves trolling the corridors of justice, unless of course, it is through them that they pay their bills? If you keenly evaluate the above statement, you will rightly agree that unless it is from the courts that your daily bread drops, you should have a little business to do with it as possible. But it is from these courts that justice, which in the case winner’s view satisfies emotional, physical and sometimes spiritual well-being can be sought. Thus, it is such an essential and integral part of life that you only need to know what to do to avoid finding yourself there unnecessarily and also what to do if you find yourself there. Litigation drains the mind, body and fiscal resources of both parties. Mammoth men and companies have come crumbling as a result of court cases. What then should companies do to avoid falling in this pit? What mistakes should organizations make all efforts to avoid? Regardless of the size of the company, each business has a set of documents for which it would pay a hefty price to safeguard. Under all circumstances, keep crucial business secrets close to the chest and do whatever it takes to protect what you consider critical information. In fact, business data, even when passed across verbally should be treated with the dignity it deserves. For instance, once an employee is terminated, let the matter rest at that point. Unworthy exchanges may be used against you in litigation. Some people would call this a hands-off approach. However, you are in a better position and better armed with all-around information regarding the case. When you get involved, you help to shed more light and give a better insight around the case. Whereas the lawyer is versed with legal matters you hold the key to critical information that allows the application of the law from the attorneys perspective. Being involved makes the work of your attorney much easier. When it is all said and done, it is likely that you know more truth than your attorney will ever know even when the case is over. Well, this is not always the case as the truth unfolds along the way. This notwithstanding, it does more harm to the case if your attorney cannot have access to some essential information. Financial records may be a good case example. Directors may feel threatened by the exposure this brings but it might as well be their saving goose. Just choose wisely what documents to share. If litigation falls on your doorsteps, be bold enough to run ahead and gather as much important information as possible. Don’t postpone this for later or assume that somehow things will get resolved or that you still have time before running the full course. The starting point is understanding the legal implications of the lawsuit including the possible punitive measures lying ahead. 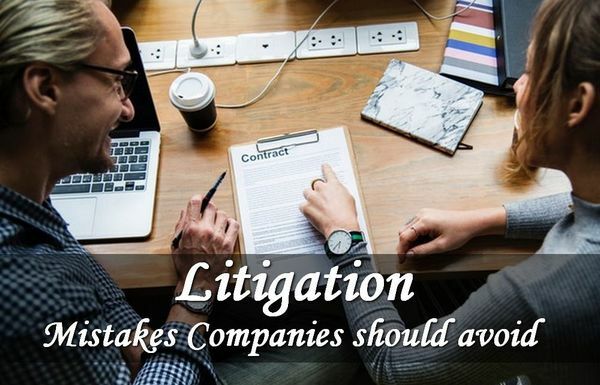 Boss Lawyers say that it is this kind of preparation that gives you the confidence to take key decisions including the kind of lawyer you need. This is detrimental! To understand the importance of this, look around and you will learn that even attorneys need representation. Who are you than to stand trial without an attorney? Prior experience in litigation may be important but it is always important to bear in mind that circumstances, situations and times may be very different. Thus, your prior knowledge or experience may be rendered useless in other situations. The draining nature of court cases may be very tempting. Because you want it gone and done with speedily, you may be tempted to take the shorter routes to the end including bribing. In the end, such temptations may prove irreversibly costly. The due process of justice is naturally slow in many jurisdictions, but it is worth the wait, especially when compared with what the alternatives provided. Probably the only short cut worth engaging in and giving a though is an out-of-court settlement. Anything else has higher chances of turning the odds against you. Big and small organizations find themselves in this challenging situation through errors of commission and omission. If it happens, take it in one stride and deal with the situation one step and a time. Litigation is a multi-layered process and the most important thing is to understand how each layer affects your business. Unfortunately, sources of threats are too many and chances of falling deep down into a court case are always looming. From employees, clients, suppliers and the community in general, the danger is never too far. This notwithstanding, solutions are more often formulated through substantive engagement with relevant parties.